Are you taking the proper steps to ensure that your medical office is clean and ready to accept patients? A clean and spotless medical office communicates to your patients that you are serious about them recuperating and that you are dedicated to their health. Here are five more tips for cleaning a medical office. Always use gloves when handling patients and equipment. Use disposable gloves so that you can change them often or as necessary. This will prevent the spread of germs throughout your office. There are different levels of cleanliness required for different areas of your office. For example, in the administrative office, where patients do not enter, you will not require the exact level of cleanliness that is required in your treatment rooms. However, it’s not just the treatment rooms that must be cleaned. The waiting room needs to be spotless and cleaned regularly as well. 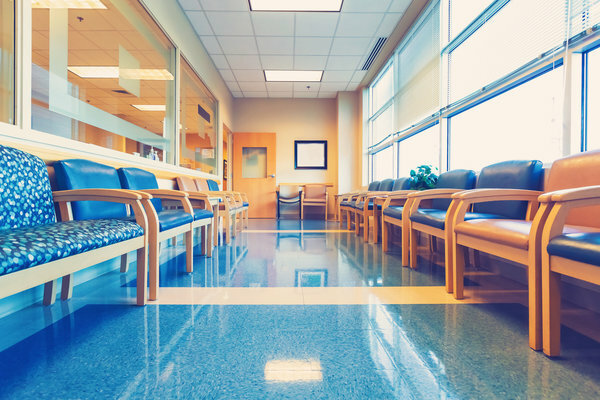 Waiting rooms can easily attract germs from patients waiting to see the doctor. Of course, don’t forget the restrooms; they are a germ haven. Make sure everyone in your office washes their hands regularly with soap and water. Encourage patients who visit your office to do the same. Get a cleaning service that has experience in cleaning medical offices. They will know which products are good to be used and which should be avoided due to possible health issues caused by harmful chemicals. Finally, have checklists for both your employees and the cleaning service. Your employees should check off their assigned tasks at the end of the day to ensure the maintenance and cleanliness of your office. Go over with your cleaning service what tasks need to be done and how often. For help with getting started, contact us today.